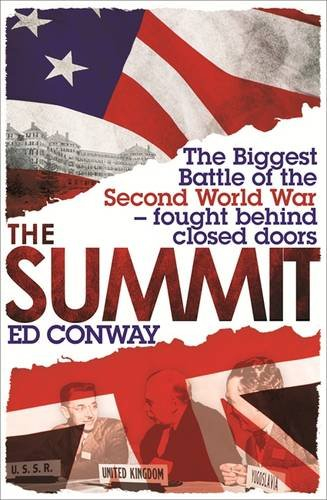 Ed Conway is the Economics Editor of Sky News, and writes a weekly column for The Times. Previously he was Economics Editor of the Daily Telegraph and Sunday Telegraph. He lives in London, where he was born in 1979. At the very heart of the conference was the love-hate relationship between the Briton John Maynard Keynes, the greatest economist of his day, who suffered a heart attack at the conference itself and who was a true worldwide celebrity - and his American counterpart Harry Dexter White (later revealed to be passing information secretly to Russian spies). Both were intent on creating an economic settlement which would put right the wrongs of Versailles. Both were working to prevent a World War Three. But they were also working to defend their countries' national interests. Drawing on a wealth of unpublished accounts, diaries and oral histories, this brilliant book describes the conference in stunning colour and clarity. Bringing to life the characters, events and economics and written with exceptional verve and narrative pace, this is an extraordinary debut from a talented new writer.